In the last few months, costs of data and prepaid plans have drastically gone down to levels impossible to imagine a couple of years ago. With all these plans by major telecom companies getting cheaper, data consumption has spiked significantly over the last one year or so. At the same time, they still want to have long conversations on calls. With that in mind, we have listed some plans by Jio, Airtel and Vodafone that cost below Rs 200. Jio Rs 98 is perhaps the most affordable prepaid plan currently offered by any telecom network providers in India with a validity close to a month. Let’s quickly discuss what the plan is all about. As the heading suggests, this Jio plan costs Rs 98. The plan remains valid for 28 days and offers 2GB 4G data. Before you wonder, no, this plan doesn’t offer 2GB data per day. With Jio Rs 98 plan, you only get 2GB data to consume at up to 4G speed within the stipulated period. And once your consumption reaches the limit, your data won’t work anymore. But hey, you get unlimited local, STD and roaming calls in addition to 300 SMS, all for 28 days. Like all other Jio plans, this one offers a complimentary subscription to all Jio apps and services. Coming up next is Jio Rs 149 plan. Unlike the previous plan we discussed, this one offers 1.5GB data per day for 28 days. As a result, you get a total of 42GB high-speed 4G data to consume within the validity period. Once you exceed the daily FUP of 1.5GB data, you can still remain online at a reduced connectivity speed of 64kbps. Opting for Jio Rs 149 plan will get you 100 SMS per day and unlimited calls, which is a standard affair among major telcos these days. So if you happen to be someone who wants a decent amount of data and without spending too much, Jio Rs 149 plan is ideal. As I mentioned earlier, people have started to consume more and more data. So if Jio Rs 149 plan wasn’t enough for you, Jio has yet another plan below Rs 200. We are talking about Jio Rs 198, which offers 2GB data per day. Like all the plans we have discussed so far, Jio Rs 198 plan has 28 days validity. So, you get up to 56GB high-speed data. All other benefits like unlimited calls, 100 SMS per day and a complimentary subscription to Jio apps remains unchanged. On paper, Airtel Rs 149 plan costs exactly the same as Jio Rs 149 plan. But when it comes to data, Airtel plan ends up offering 14GB less data than Jio’s. Airtel Rs 149 offers 1GB data per day. As a result, users end up availing 28GB data. It does offer unlimited calling but no free SMS in this pack. To let users consume more daily data, Airtel has another plan up its sleeve that costs Rs 199. But this plan has a FUP of 1.4GB per day, as opposed to 2GB on Jio Rs 198 plan. So, Airtel 199 plan has a total 39.2GB data to offer within the stipulated period. And yes, this plan gets users unlimited calls and 100 daily SMS. 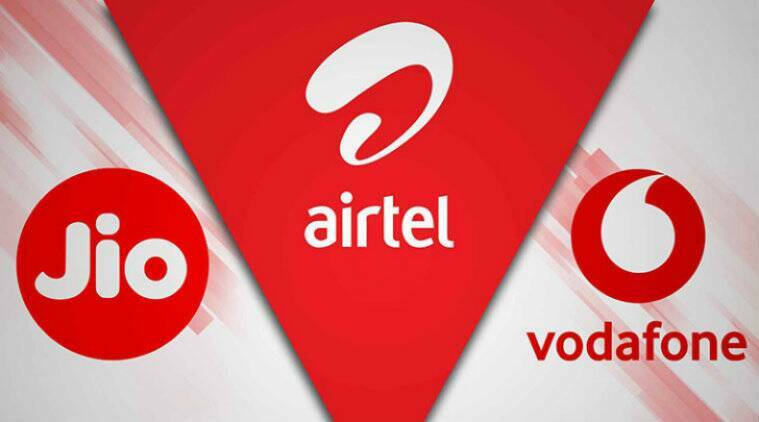 Vodafone Rs 199 has exactly the same validity and benefits as Airtel Rs 199. Just to reiterate, users get 1.4GB daily data for 28 days, daily 100 SMS and unlimited local, STD and roaming calls. Vodafone has another Vodafone Rs 196 prepaid plan that one should ideally avoid. You get unlimited calls, no SMS and just 1GB total data for 28 days. One should rather spend Rs 3 more and go for Rs 199 plan instead that offers a lot more extra.